Various clubs and sports at NC displayed registration information in the main cafeteria from 6:00 to 6:30 pm, to interest and excite the rising ninth graders. 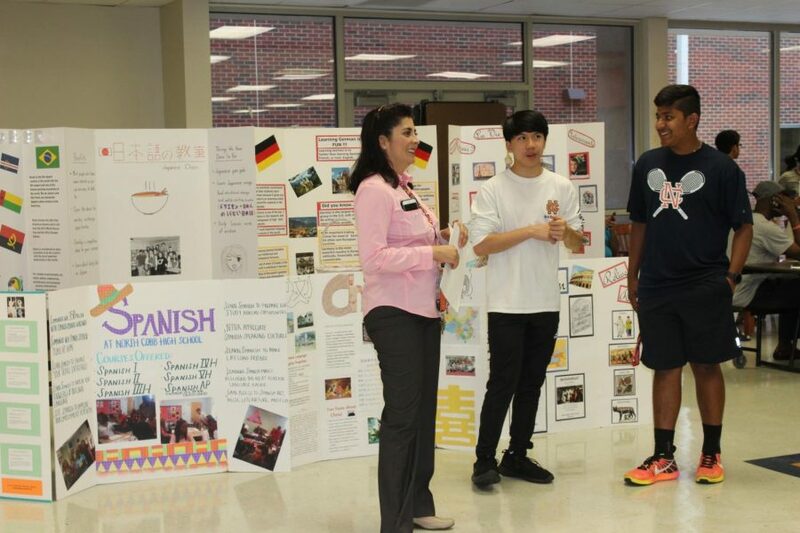 NC hosted an event for rising 9th graders on Thursday, March 29. An array of clubs, sports, and academic areas provided information for the students and their parents in the main cafeteria. To kick off the night, the administration and counseling departments held a presentation in the brand new Performing Arts Center auditorium. Events such as this one allow the future freshmen to become familiar with their new school and determine the extracurriculars that interest them. “When you come here next year, we want you to have fun, we want you to be connected,” Principal Bucky Horton said. 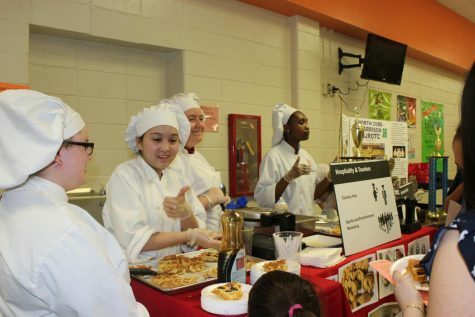 Students from Ms. Hughey’s culinary arts class prepared waffles for the visitors. Students involved in school clubs and organizations volunteered to help welcome and encourage the future freshmen to participate as well. After prospective students and their parents observed the information in the cafeteria, 9th grade assistant principal Matthew Moody and Principal Horton welcomed the 8th graders to NC. Moody explained the benefits of the Freshman Academy and how the positive atmosphere, with teachers that challenge and support students, helps 9th graders easily transition from middle to high school. Athletic Director Matt Williams encouraged students to become involved in sports next fall and emphasized the importance of team sports and how they positively affect performance in school. 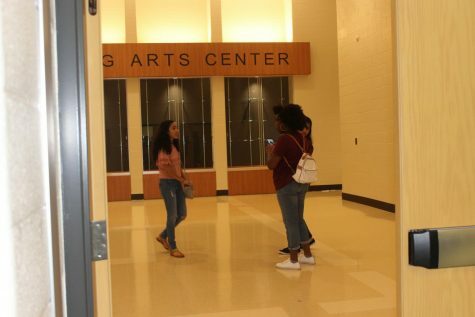 Held in NC’s brand new Performing Arts Center, the rising ninth grade parent and student night covered graduation requirements, course request, and the benefits of the Freshman Academy. Freshman Academy counselor Michelle Perlin spoke to students about graduation requirements, course requests, electives, and advanced placement. “They [honor students] do better in college; honors and AP classes make it easier to study and know what colleges are going to be looking for,” Perlin said. Moody also took the time to address school safety. He assured parents that administration continuously searches for new ways to ensure students feel safe and comfortable at school. Lastly, he discussed the Warrior Welcome, a freshman-only orientation, which will take place on July 27. 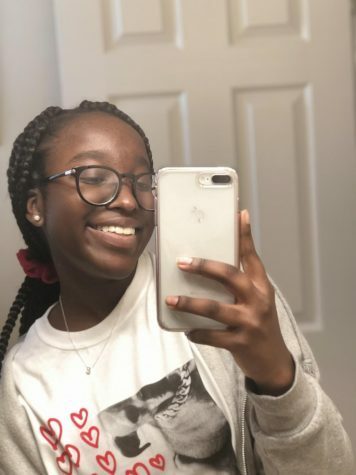 “We find that students that are connected not just to the classroom, but to the school are more successful,” Horton said.